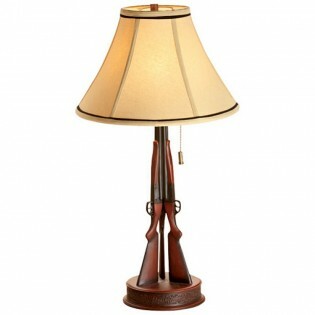 A trio of three hand cast resin shotguns make up the base of this rustic table lamp. The Shotgun Table Lamp will add charm and interest to the den or any room in your home. A collapsible fabric shade is included.